If previous posts are to tweak internet speed for faster online performance, or offline (to tweak windows), etc, Now..is this Mouse v.s. Keyboard? 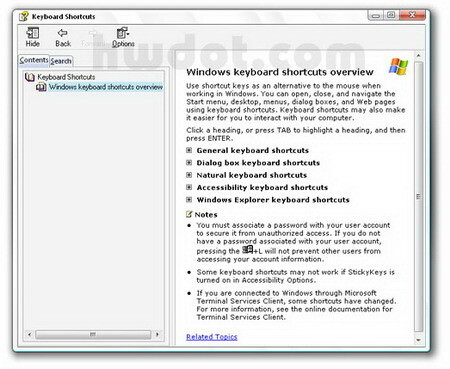 lol, I think you all are already aware of a 'shortcut' on Windows XP Operating System (OS). By using a shortcut, we can tweak our working process. 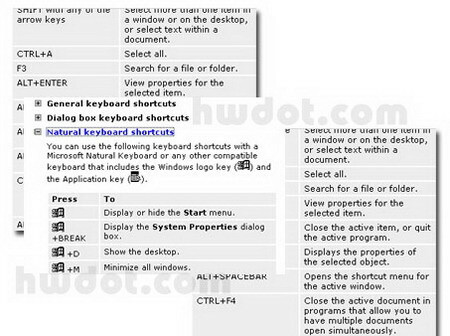 We all know CTRL-C for 'Copy', CTRL-V for 'Paste', etc.. but did you know ALL shortcut keys lists available on your windows XP? Yeah, There's no need for us to keep all of them in mind, you can just remember some of them which are useful and effective for your work habit. 3. 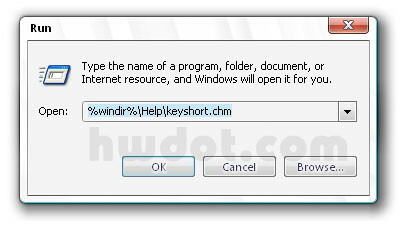 Type this command: "%windir%\Help\keyshort.chm"
0 comments on "How to Display All Keyboard Shortcuts Lists on Windows XP, Vista for Faster Performance"